Per specifications ANSI B. 16.5. ASTM A 182. Optional DIN PN16. BS 10 Table E. BS4504, J.I.S. or other various international specifications. Insert materials are Type 316L Stainless Steel standard and are internally machine polished to a maximum ID surface finish of 20RA prior to Electropolish. 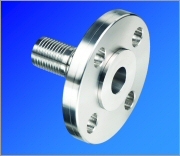 15RA/Electropolish is available for critical process applications. Polypropylene, PVDF and other materials are available by special order. 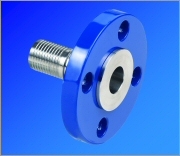 Flange materials are available in epoxy coated steel, Type 316L Stainless Steel and 304 Stainless Steel. Polypropylene, PVDF and other materials available by special order.